The term “subliminal” means below the threshold of conscious perception. Subliminal music refers to music tracks embedding messages that are recorded below the hearing levels of a normal human being. That prevents the conscious mind to put barriers against them. As time goes by, the subconscious starts to accept these messages as true, thereby affecting a person’s behavior accordingly. 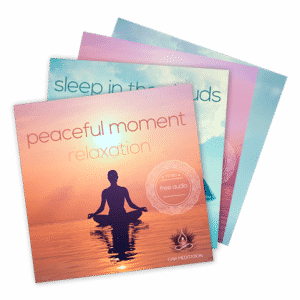 At Gaia Meditation, we have produced subliminal audio recordings that will help you reprogram your subconscious in an easy way, and will help you develop a more positive mindset, release guilt, attract abundance, lose weight etc. Subliminal messages are widely used in radio and television commercials. Lots of companies are investing heavily on subliminal message technology. They believe it is the best way to imprint positive ideas about their products and services. Such messages appear in the form of images, words, as well as sounds. It is believed that this can have a direct influence on the subconscious, which in turn influences the conscious mind. When subliminal messages are seen or heard by the conscious mind, they are never recognized. They are often ignored until it passes through the conscious level to the subconscious. The conscious mind may hear the message, but it does not have the time to rationalize the message and that is why it would always ignore it. Several studies have shown that subliminal messages have long lasting effect. They can be useful in breaking unwanted habits and can boost performance. Humans are capable of doing many things when their brains are conditioned. In 2017, researchers at the University College London published an interesting study, in Current Biology, called ‘Subliminal advertising leaves its mark on the brain’. It showed that experiment subjects’ brains responded to objects, even when they did not see them consciously. This means that brain could absorb and recognize subliminal messages unconsciously. Such messages directly pass through the conscious mind to the subconscious. In 1987, a study by Gettysburg College and a group of researchers named SUNY-Buffalo confirmed similar observations. This study was published in the Journal of Personality and Social Psychology. The findings indicate that subjects react to subliminal stimuli positively when it is repeated to them. This usually happened when subjects were not aware of what was going on. The effectiveness of subliminal messages was also demonstrated by Martijn Veltkamp PhD student. He showed that it is actually possible to use visual subliminal stimuli to motivate people to do something they already wanted to do. The subconscious is where most of the human power lies. It is regarded as the center of human existence. Studies conducted in neuroscience show that 95% of our day to day life is driven by our subconscious mind. That means that you’re on autopilot mode the vast majority of the time. You are not even aware of this. Therefore, this is easy to understand if you want a happier life, you should start to explore this aspect of you and think about reprogramming your subconscious mind in the way you want. Subliminal music can help you do that. Short positive statements called “subliminal affirmations” or “subliminal suggestions” embedded in the music track will penetrate deep into your subconscious mind and force your conscious mind to act. You can even listen to such recordings while sleeping. Enhance your self-confidence and increase your self-esteem – In one way or the other, you could be feeling insecure or afraid. If you listen to an audio track embedding repeated subliminal phrases such as ‘I am confident’, it may boost your confidence. Stop smoking – Subliminal affirmations can truly help you eradicate this type of bad habits. Facilitate weight loss – Positive affirmations like ‘I eat what is good for me’ may help you to change your eating habits, cultivate your diet program and overcome your weight issues. Enhance your learning ability – for both kids and adults – Studies on subliminal learning have indicated that subliminal messages can be used to improve academic performance of students. Globally, a great number of subliminal audio recordings exist for a wide range of topics such as: developing a more positive mindset, attracting abundance, stopping a phobia, boosting your immune system, accelerating your body healing ability, etc. Gaia Meditation subliminal music combines two technologies to help you reprogram your subconscious mind in a very effective way. 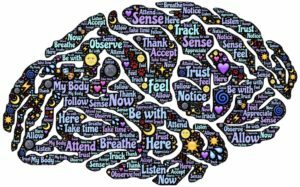 Indeed, in our subliminal audio tracks, we use subliminal messages as well as the technology of brainwave entrainment, binaural beats and isochronic tones, which truly facilitate access to the subconscious mind. The sound frequencies used will drive your brain activity in the optimal state for receptivity to suggestions. Subliminal music embedding subliminal messages is a powerful way of reaching the human subconscious mind bypassing human logical reasoning. No change you want to make in life can be achieved through the conscious mind level. It can only be achieved through the subconscious level. After a few days of listening to subliminal music, you will notice that you are having different thoughts and that you have a more positive attitude. At Gaia Meditation, we have developed a wide range of free subliminal audio tracks for different purposes. With each downloaded audio, you’ll get a list of the subliminal affirmations embedded in the music.